Talented damsel of the Creamax Records fame, Iyo returns with a scorching new love-inspired tune that she titles “Nakupenda.” On this one, she scores the heavyweight feature of leading Bongo Flava artist from Tanzania, Harmonize. With a music video to match as directed by Director J, the duo simply brought the musical chemistry as shared on the audio to visual connection. In fact, such is the bond that it had been rumoured Iyo and Harmonize had secretly married in Lagos in November. 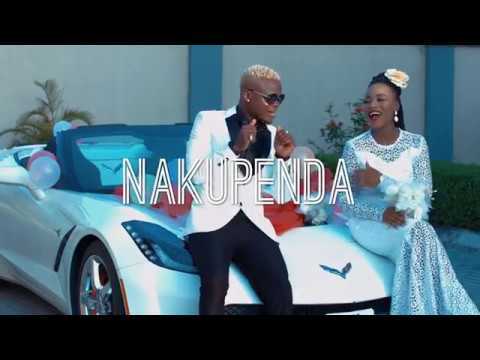 However, now we know it was all for the music video for “Nakupenda,” which loosely translates to ‘I Love You’ in Swahili. Iyo whose real name is Blessing Iyoghama does pack the celestial vocals and having returned from her previous base in Australia where she wrote for and supported some African artists, it does look like she’s got the industry for the taking. She proves the structure, content and delivery on “Nakupenda” that it comes laced with some beauty that streams right into the depths of the heart and soul. Plus, with the support of WCB Wasafi playmaker, Harmonize, who holds a world of smash hit records that have caused quite the buzz across the continent, it wouldn’t be much of a surprise if this melodious piece enjoys the goodwill and acceptance of music fans. The season of love just got a new twist to it and you do not want to be left off its cupid mood. Simply stream, download, then share your thoughts and opinion in the comments section below.